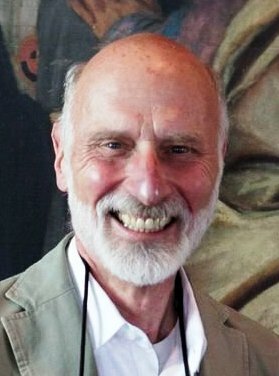 David Rosand, Meyer Schapiro Professor Emeritus of Art History at Columbia University, died in August. Here’s a link to Holland Cotter’s obituary for him in the New York Times. Here’s another link to an obituary in the Columbia Spectator. I knew Professor Rosand before he had such a grand title – in his first year as an Instructor he taught an art history survey course that had a big impact on me and the way I understood art. I wrote a brief appreciation and sent it to the Times, but they did not publish it. In England there is a lively tradition of letters to the editor with detailed reminiscences of the decedent, published after the paper’s own obituary. This is not so in the United States. Here the obituary is the last word, which then disappears swiftly over the horizon, like tail-lights of a departing train, so that nothing may delay the important work of being forgotten. Here’s what I wrote to the Times about David Rosand. I read in today’s obituary about Columbia art history Professor David Rosand that he taught his first class there in 1964. I was in that class – it was a required introductory art history survey course called Art Humanities. I grew up in New York and had frequented the city’s great museums since childhood, but I didn’t really understand much of what I was seeing. In one semester of the clearest, most congenial, most engaging, most accessible teaching I ever experienced, David Rosand organized all that and showed me how to look at art – to see the structure of what was before my eyes, and to look for and understand its relation to what came before and after. Fifty years later, that course remains one of the transformative events of my life. I am sure I am not the only one of Professor Rosand’s students to feel that way.